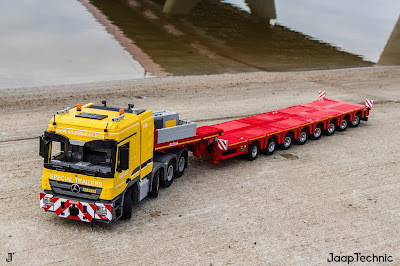 The improved LEGO version of the Mercedes-Benz Actros MP3 in a 4160 and 4165 variant. The 4160 is build in the Mammoet livery and the 4165 uses the Liebherr colors and is completed with the Nooteboom livery to match the Nooteboom trailers. 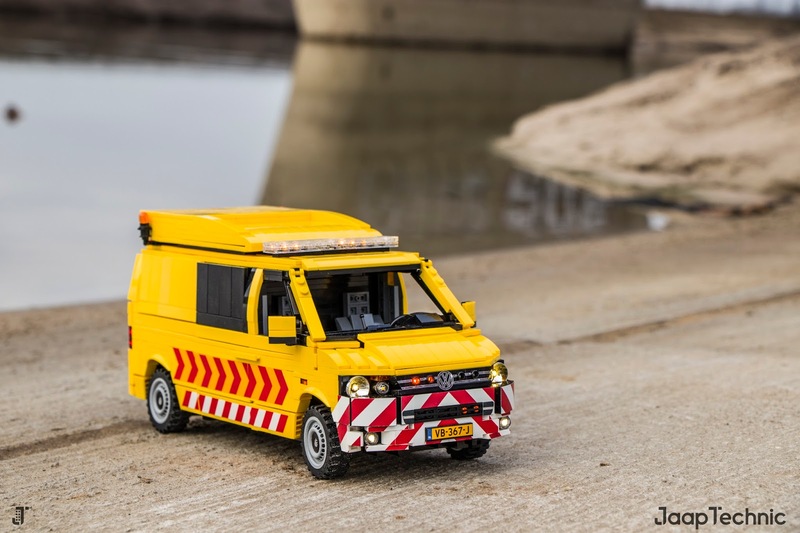 Both trucks are available in the webshop with professional building instructions and complete sticker sets. 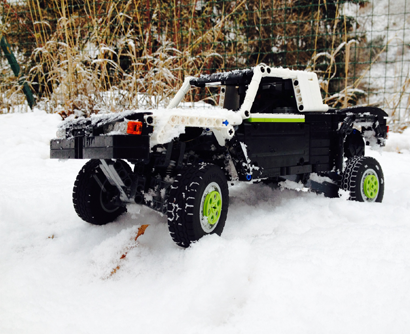 Build your own heavy haulage truck and let's haul!! Nooteboom a company located in Wijchen, The Netherlands, and builds special trailers for extremely heavy loads. 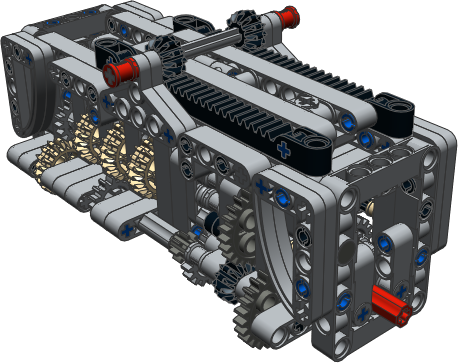 This 8 axle Semi-trailer is completely build out of original lego bricks and steers automatically based on the rotated position of the fith wheel! Volkswagen Transporter vans are widely used on construction sites but they are also often used for guiding special road cargo. This Lego version of the T5 is remote controlled and has many LEDs provided by Brickstuff. On the roof there is a foldable matrix sign which warns upcoming traffic. 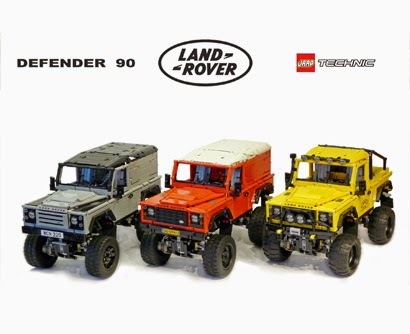 Landrover Defender 90, which comes in three versions: The X-Tech version is the ultimate urban offroader, The red standard version is suitable for every task and the Camel Trophy is ready for some serious offroading. Choose your favourite now! 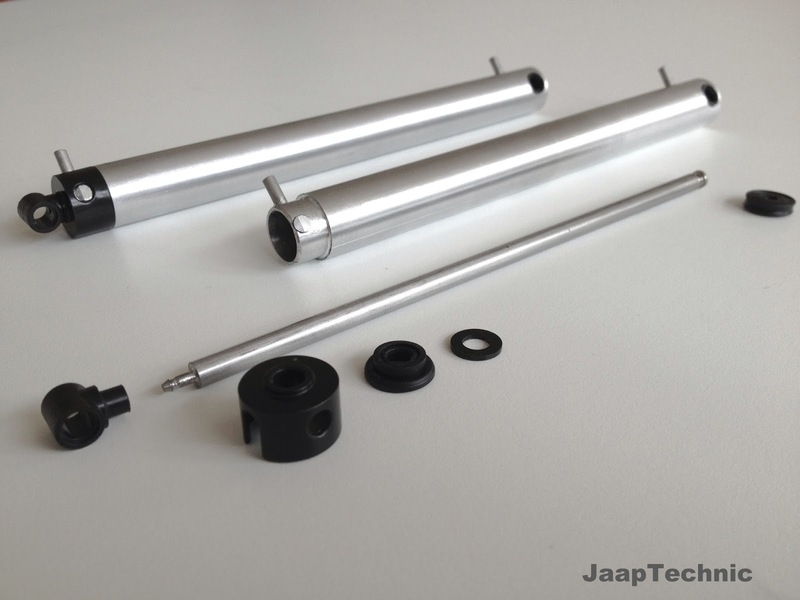 Aluminium pneumatic cylinders. Made for my Volvo A25D.